← C++ Lib or Dll? I love the idea of code generators (been using Code Smith Recently), and I even keep a project lying around on my hard drive(s) called Zathras, (an alien from the Babylon 5 Universe who works tirelessly) that has a bunch of helper methods for writing code that I know is going to be tedious and I can’t get around…. (Some of the AI Code for my FANS is a good example). However I would like to acknowledge the hard working computer for generating some of my code and helping me tell it what to do. I'm a Microsoft Partner Consultant. 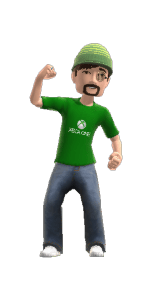 This entry was posted in Game Development, Leisure, Programming and tagged C#, Tips & Tricks. Bookmark the permalink.